Summit Expedited’s newsletter featuring current market trends and other exciting news at Summit. Hot Shots – SEL offers a variety of smaller vehicle types that can move loads at faster speeds than traditional truckloads, but at a more competitive cost point. We can provide cargo van and sprinter vans that hold up to 3 standard skids or straight trucks up to 26 feet in length. If you ever have a small amount of freight and traditional LTL is not an option, this could be a great solution for you! Contact us to learn more about our suite of expedited services. Intermodal – Rail can be a great cost effective alternative to traditional truckload when there is flexibility in the transit time. SEL works directly with Class 1 rail providers, giving you competitive pricing and a direct link to the rail provider. We can service most lanes within the US, Mexico & Canada. We are also able to offer temperature controlled intermodal service in addition to drayage services in most major markets. If you would like additional information or think our intermodal service could be a good fit for you, contact us now! 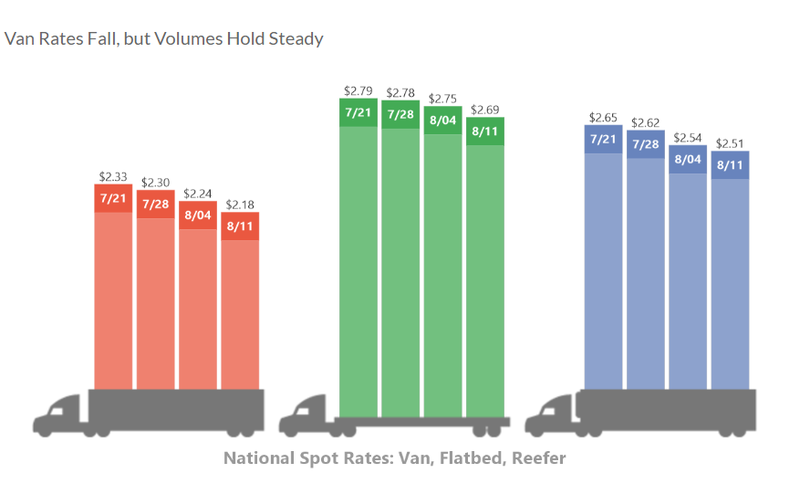 Overall spot market pricing continues to decline across the board for vans, reefers, and flatbeds. Dry van rates have had the largest movement, dropping 15 cents over the past month. This trend is typical for this time of year, but rates are still 20% higher compared to last year. We do expect to see a shift in rising rates within Q3. Northeast – History has shown us that the northeast has been and will continue to be one of the more consistent markets within the US. With a steady flow of both freight and available capacity, pricing remains consistent except for holidays or natural disasters. This trend should continue through end of Q3. Southeast – Produce has slowed down while truck pricing has slightly increased into its standard range for the majority of outbound freight lanes. Freight moving from FL up the I-95 corridor to the NE still remains higher than normal, but we anticipate the demand to level out on this lane causing rates to drop. Pricing should remain fairly consistent until produce season starts next year. Midwest – As briefly discussed in our last edition, manufacturers especially automotive, take brief shutdowns during summer months to retool machines and cut unnecessary labor. Last week we started to see a reduction in available trucks in the Great Lakes region, more so for team service. This indicates that manufacturers are back up and running, and will continue through the remainder of the year. We expect to see a steady increase in rates through the end of Q4. West Coast – Since the end of June, we have seen a drop in both rejected outbound tenders & rates in SoCal, but we are anticipating that trend to end rapidly. The volume of outbound California shipments has started to rise and there are reports from local intermodal vendors there may not be enough capacity to handle all the freight headed to the ports, potentially flooding the spot market with freight. California isn’t the only area seeing a rise in outbound shipments. The PNW usually has a spike in outbound pricing around October, but we are seeing that trend starting earlier with prices beginning to rise in August. 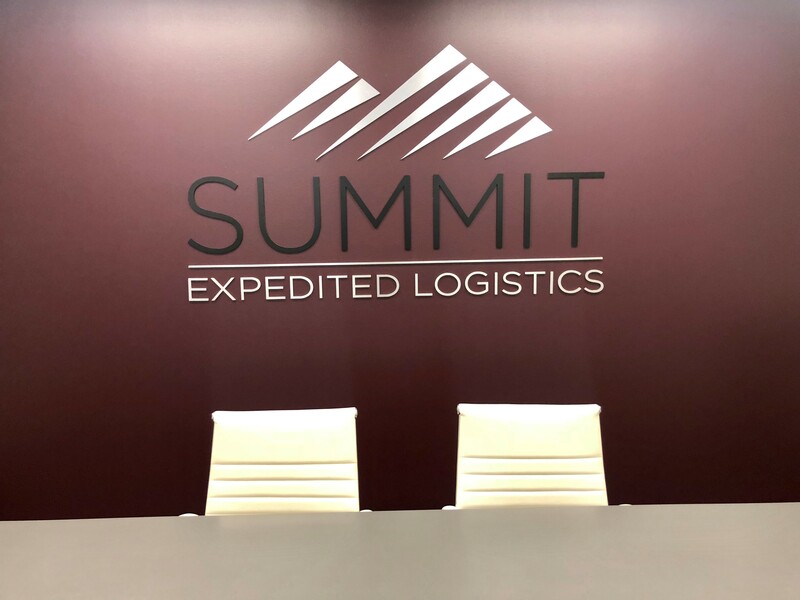 Summit Expedited Logistics moved to its first office in 2012, nestled in the West Loop of Chicago. Here, a foundation was built that would help a small company grow and achieve their goals to ensure a thriving future. Planting SEL’s roots at 820 West Jackson Blvd allowed us to flourish as a company – in success, values, strength, and fellowship. 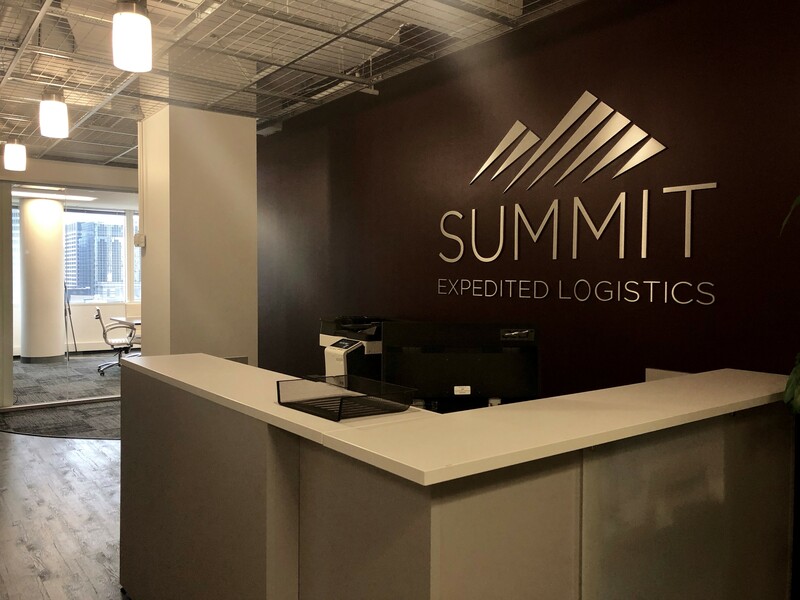 After six years in the office that Summit called home, it was time to find a new office that would accommodate the company’s consistent growth. 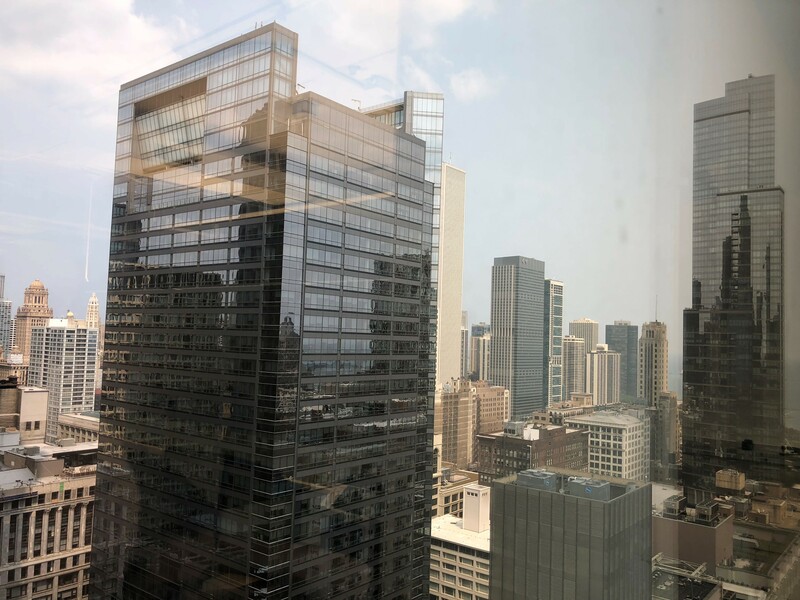 Considering the fast paced nature of the city and our company, Summit has found its new home in an office double its size in the heart of The Loop! 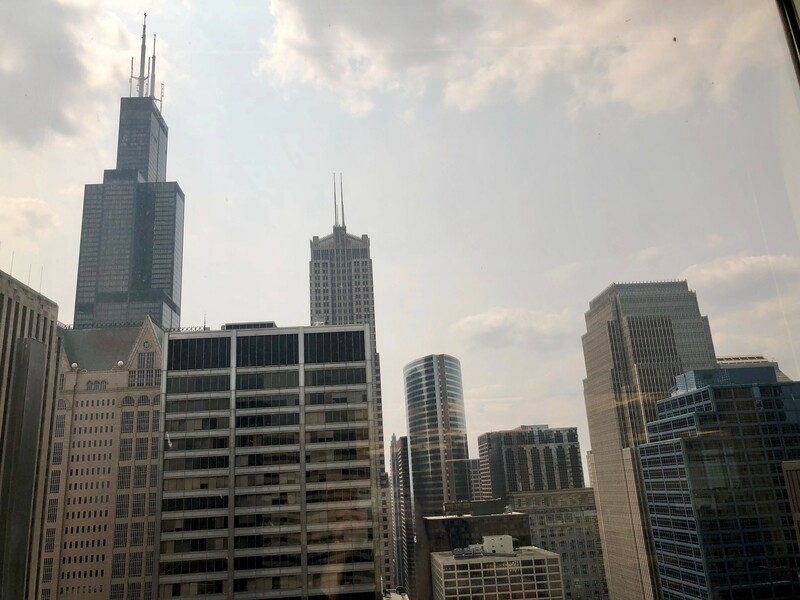 Welcome, everyone, to Summit’s new office at 55 W Monroe! We are so pleased to announce this exciting news for our company and cannot wait to watch our team grow! The graphics in this letter were obtained from 2018 DAT Solutions, LLC.